Our trainees spent three days wiring up a variety of products and configuring software to create a fully functioning access security control system. Our trainer course consists of three modules: Hardware Level 1 and 2, Software Level 1 and Software Level 2. Being able to simulate a live system allows them to put the theory into practice. 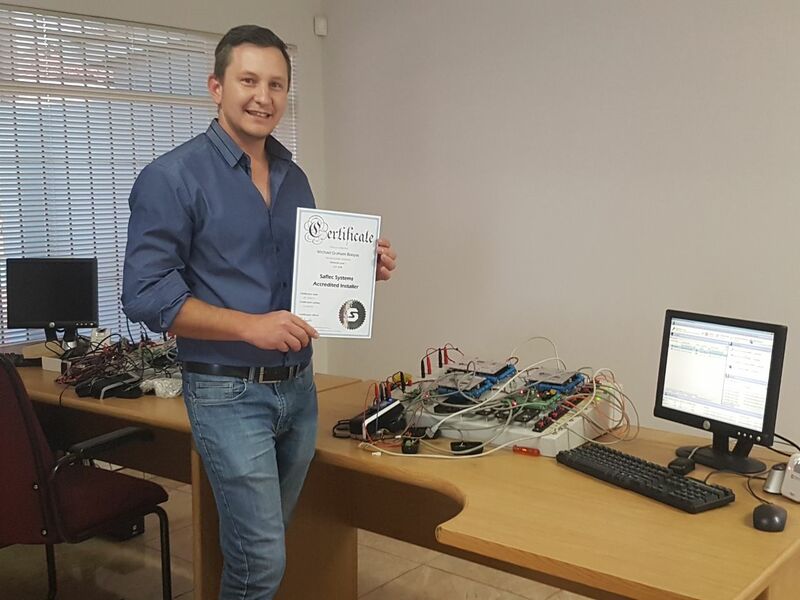 Students also gain insight into our proprietary access security software (SACS) and our range of locally manufactured door controllers and proximity readers. In addition to the practical training, our students conclude their training session with a written exam. We’re thrilled to announce that both Michael and Peter passed with flying colours and were awarded certificates. Investing in your employees by offering them the opportunity to study further makes business sense. As they learn more and upgrade their skills, they add value to your company. It may take some time to see a return on your investment, but the long-term gains associated with employee training are well worth the money spent. The cost of a short training programme is negligible when compared to the benefits of having qualified and productive staff that can help your company succeed. In addition to our Installer Training programme, Saflec Systems also offers a Refresher Course. This course covers the installation and configuration of our SACS Version 3 software and a re-cap of the hardware. It is aimed at students who have completed the Installer Training programme and simply need to refresh their knowledge. For more information on our training courses, or to check course dates and times, please email training@safsys.co.za. 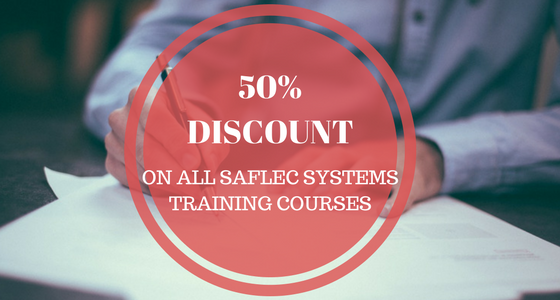 For the month of May, Saflec Systems is offering an incredible 50% discount on all our training courses. This is your opportunity to become an accredited Saflec Systems Installer. 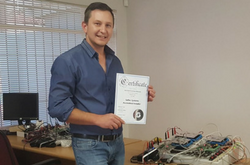 This course includes both Hardware and Software Level 1 and 2. The Hardware Level consists of designing, installing and wiring an advanced system and running diagnostics. You’ll also learn how to wire peripherals such as electronic locks and third party biometric devices. Software Level 1 introduces students to the installation of SACS software and basic system configuration. This is based on the SACS v3 Standard Edition software, SDC-320 system controller and proximity readers. Software Level 2 involves installing and configuring multiple access point systems. Students will also learn how to configure advanced setups including zoning, scheduling, anti-passback and biometrics. This level is based on the SACS V3 Professional Edition. This 1-day course is aimed at students who have completed installer training but would like to refresh their knowledge of the system. It covers the installation and configuration of SACS V3 and includes a recap of the hardware modules. Saflec Systems boasts a fully equipped training facility on our premises which accommodates up to 5 students per course. Learning is practical and hands on as you will be able to physically wire up all the Saflec Systems Access Control products, install software packages and configure the system as if it were live. Each session ends with a written exam. Once you have completed the training and written the exam, you will receive accreditation and a certificate from Saflec Systems. Installer training takes place every Tuesday to Thursday and includes both the Hardware and Software Level 1 and 2 modules. Refresher training is held every Monday (excluding 1 May which is Workers Day). Courses start at 8 am and last until 4:40 pm at Saflec Systems premises in Industrial North, and lunch is provided. Although you will need basic computer literacy, you do not require any other skills to successfully complete the course. 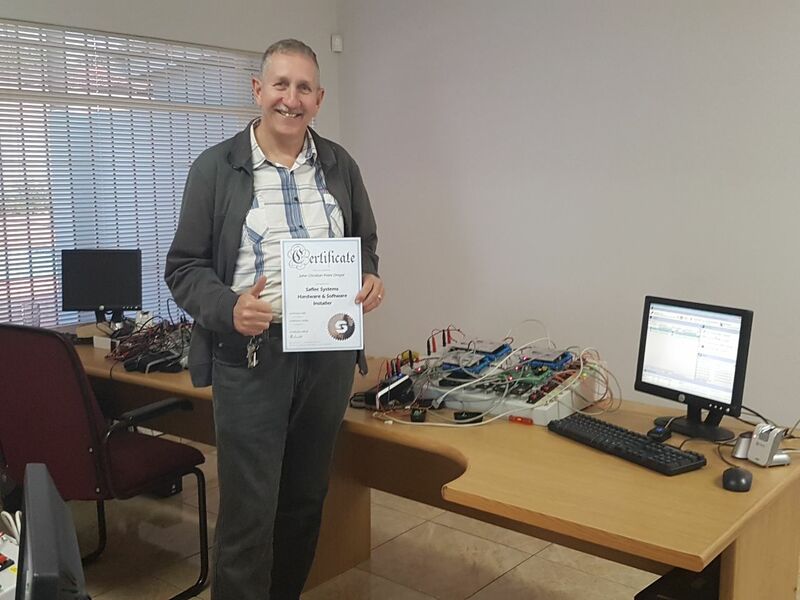 If you’re interested in becoming a certified Saflec Systems installer, or simply looking to brush up on your skills, send an email to training@safsys.co.za to book your place.